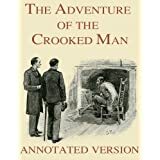 About the Book: "The Adventure of the Crooked Man", one of the 56 Sherlock Holmes short stories written by British author Sir Arthur Conan Doyle, is one of 12 stories in the cycle collected as The Memoirs of Sherlock Holmes. Doyle ranked "The Adventure of the Crooked Man" fifteenth in a list of his nineteen favourite Sherlock Holmes stories. 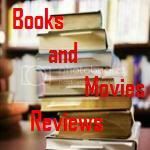 My Review: Another amazing plot and "elementary" deduction featuring Sherlock Holmes! Holmes calls on Watson late one evening to tell him about a case that he has been working on, and also to invite him to be a witness to the final stage of the investigation. Colonel James Barclay, of The Royal Mallows based at Aldershot Camp, is dead, apparently by violence, and his wife Nancy is the prime suspect. The Colonel’s brother officers are quite perplexed at the Colonel’s fate. Most of them have always believed that he and Nancy were a happy couple. They have observed over the years, however, that the Colonel seemed rather more attached to his wife than she to him. It also hasn’t escaped their notice that the Colonel sometimes had bouts of deep depression and moodiness for no apparent reason. As a married officer, the Colonel and his wife lived in a villa outside the camp at Aldershot, and one evening, Nancy went out in the evening with her next-door neighbour Miss Morrison on an errand connected with her church, coming back not long afterwards. She went into the seldom-used morning room and asked the maid to fetch her some tea, which was unusual for Nancy. Hearing that his wife had returned, the Colonel joined her in the morning room. The coachman saw him enter, and that was the last time that he was seen alive. The morning room’s blinds were up, and the glass door leading out onto the lawn was open. When the maid brought the tea, she heard an argument in progress between Nancy and her husband. She heard Nancy say the name “David”. She fetched the other maid and the coachman who came and listened. Nancy was very angry and shouting about what a coward her husband was. His words were softer and less distinct. Suddenly, the Colonel cried out, there was a crash, and Nancy screamed. Realizing that something awful had just happened, the coachman tried to force the locked door, but could not. He remembered the outside glass door, and went outside to get into the room through that. He found that Nancy had fainted, and the Colonel was lying dead in a pool of his own blood. The coachman summoned the police and medical help. He also found, to his surprise, that the key was not in the locked door on the inside, either. Later, a thorough search failed to turn it up. A peculiar clublike weapon was also found in the morning room. Although the staff has seen the Colonel’s weapon collection, they do not recognize this weapon. Holmes believes that the case is not what it at first appears to be. Although the staff are quite sure that they only heard the Colonel’s and his wife’s voices, Holmes is convinced that a third person came into the room at the time of the Colonel’s death, and rather oddly, made off with the key. This Holmes deduces from footmarks found in the road, on the lawn, and in the morning room. Odder still, the mystery man seems to have brought an animal with him. Judging from the footmarks, it is long like a weasel or a stoat, with short stumpy legs, but bigger than either of those animals. It left claw marks on the curtain, too, leading Holmes to deduce that it was a carnivore, for there was a bird cage near the curtain. Holmes is sure that Miss Morrison holds the key to the mystery, and he is right. She claimed to know nothing of the reason for the argument between her neighbours, but once told by Holmes that Nancy could easily face a murder charge, she feels that she can betray her promise to her and tells all. On their short outing, the two women met a bent, deformed old man carrying a wooden box. He looked up at Nancy and recognized her, and she him. They were acquaintances from about thirty years earlier. Nancy asked Miss Morrison to walk on ahead as there was apparently a private matter to discuss with this man. She came back very angry, and made her friend swear not to say anything about the incident. This breaks the case wide open for Holmes. He knows that there cannot be many men of this description in the area. 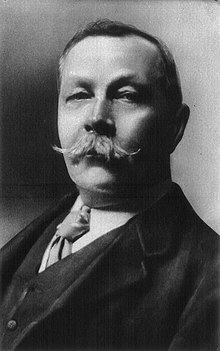 Holmes soon identifies him as Henry Wood, and goes with Watson to visit him the next day in his room in the very same street where the two women met him. Wood explains all. He had been a corporal in the same regiment as the Colonel, who was still a sergeant at that time, at the time of the Indian Mutiny. He and Barclay were both vying for Nancy’s hand. Henry was not deformed, and much better looking in those days. The regiment was confined to its cantonment by the turmoil in India, and water had run out, among other problems. A volunteer was asked for, to go out and summon help, and it was Henry. Sergeant James Barclay — later the Colonel — instructed Henry on the safest route. It took him straight into an ambush, and he gathered from what little he knew of the local language that Barclay had betrayed him to the enemy by planning the whole business, simply to remove him from contention for Nancy's affection. He was tortured repeatedly, which is how he became deformed, spent years as a slave, or wandering, learnt how to be a conjurer, and when he was getting old, he longed to come back to England. He sought out soldiers because he was familiar with the milieu; likewise Doyle's account hints that another reason that Wood came back is that he has not long to live: his yellow eyes hint at Jaundice or Hepatitis B virus and his need for a fire in the summertime also hint at malaria. Then, quite by chance, he met Nancy that evening. Unknown to her, however, he followed her home and witnessed the argument, for the blinds were up and the glass door open. He climbed over the low wall and entered the room. An apoplectic fit caused by the sight of him killed the Colonel instantly, and Mrs. Barclay fainted. His guilty secret was at last laid bare. His first thought then was to open the inside door and summon help, and he took the key from the now-unconscious Mrs. Barclay to do so, but realizing that the situation looked very bad for him, he chose instead to flee, stopping long enough to retrieve his mongoose, used in his conjuring acts, which had escaped from the wooden box. However, he did drop his stick, the odd weapon that was later found, and he inadvertently carried off the key with him. An inquest has already exonerated Nancy, having found the cause of the Colonel’s death — apoplexy (Wood claimed the Colonel was dead before he hit his head, and the professionals have apparently come to the same conclusion). As for “David”, this was apparently a reproach in which Nancy likens her husband to the Biblical king, who has Bathsheba's husband Uriah transferred to a zone with heavy fighting so that he will be killed, leaving David free to marry Uriah's wife. The King was severely reprimanded for this sin by the prophet Nathan and suffered a Divine retribution, though unlike with the colonel it involved the death of David's baby son and not of himself. I recommend this book to any reader who enjoys mystery, mainly those featuring Sherlock Holmes and his friend Dr. Watson.